As previously revealed in Passive House Plus, the evidence appears to indicate that natural ventilation systems don’t adequately ventilate our homes. But does mechanical ventilation perform any better? The construction industry is slowly grasping the idea that airtightness is important for energy saving and comfort — and is building tighter envelopes. However, for a comfortable, healthy home, airtightness is only half the story — you have to ventilate right too. Is this happening? 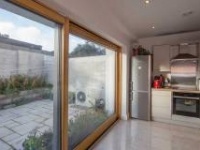 A review in issue six of Passive House Plus looked at the evidence on air quality in naturally ventilated homes, and came to the depressing conclusion that the long standing British and Irish norm of holes in the walls or trickle vents in the windows and intermittent extract fans in kitchens and bathrooms, was not resulting in good indoor air quality (IAQ). One recent study of 20 naturally ventilated new-build houses in Scotland1 found bedroom CO2 levels in some bedrooms sitting above 2000 or 2500 parts per million (ppm) on a regular basis (above 1000 is regarded as low indoor air quality, see table). In one home, bedroom CO2 levels topped 4000 ppm six nights in the monitored week. Mechanical ventilation in theory offers a better chance of good ventilation – a steady supply of fresh air, independent of the vagaries of wind speed and temperature differentials that drive natural ventilation. Is there any evidence that the theory is right? 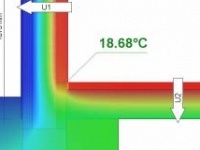 Does real world MVHR work better than natural ventilation? CO2 monitoring of a passive house at Wimbish: lounge (blue) and bedroom (red), January 2013. The levels are generally acceptable, with the ‘spikes’ of short duration. CO2 levels in the flats were lower. Innovate UK (formerly the Technology Strategy Board) has commissioned an investigation into the performance of MVHR in new build homes in the UK in the form of a ‘meta-study’, examining the available evidence. Tim Sharpe, Ian Mawditt and Rajat Gupta reported on some of the early findings at Ecobuild in London in March of this year. Sixteen sets of IAQ readings in eight homes with MVHR showed average night time bedroom CO2 levels below 1000 for all but one set. Levels only spiked above 1500 between 10% and 30% of the time, in just a couple of the dwellings. As an alternative to MVHR, continuous mechanical extract ventilation (MEV) is cheaper and easier to install, especially in a retrofit situation. However, without heat recovery, MEV is unlikely to be as energy efficient, although in some systems, “demand control” has been introduced, in a bid to counter energy losses by cutting ventilation rates when less fresh air is needed, as determined by humidity sensors in the extract. It is hard, though, to make direct comparisons between mechanical and natural ventilation, as studies were carried out at different times in different places . One report gets a bit closer to this by including both naturally ventilated and MVHR-ventilated dwellings in the same study. A ‘natural experiment’ took place in one of the houses in this study when the occupants switched off the MVHR in the summer and increased their window opening instead. Strikingly, the ventilation rate deteriorated in the summer despite the windows being open — IAQ was better in the winter with windows closed but MVHR running. The picture is not all rosy; reports of faulty mechanical ventilation systems are not hard to find, and there are examples of pretty poor practice out there: fan units bolted to bedroom ceilings, filters that cannot be accessed to change, missing insulation, squashed and tangled ducts and ducts that are not connected, incorrect terminals, and even entire units connected up the wrong way round. Mechanical ventilation can ‘underperform’ owing to: a) inadequate design/installation/commissioning impacting on flow rates in part or all of the dwelling; b) occupants turning the ventilation down or off – eg through discomfort, anxiety or not understanding the system. Noisy or draughty ventilation leads some users to turn down their ventilation, or at worst turn it off altogether, and they may or may not start opening their windows to compensate.11 Ventilation may also be turned down by commissioning engineers, for the same reason. Noisy ventilation may also increase the perception of energy use — and indeed, may well be increasing energy use — again, a reason for switching off. A couple of studies have either deliberately or accidentally encountered occupied homes where the MVHR was known to be turned off and the windows were known to be closed. In one small study this scenario was deliberately tested in two prototype low energy dwellings.15 These houses were moderately airtight (at around 4 ach at 50 pascals),though not to passive house standards. The ‘experimental’ occupants (student volunteers) spent a week with the ventilation turned off and the windows closed. Night-time CO2 in the bedrooms was above 2000 ppm, indicating inadequate ventilation. Similar situations have arisen briefly in passive house buildings by accident: in a brief period where the MVHR was switched off in one passive house, CO2 averages rose to just below 2000 pm in the living room and over 2000 ppm in the bedroom. Clearly these results indicate poor air quality in the absence of a functioning MVHR, though it may be worth bearing in mind that such data as there is indicates similar air quality in naturally ventilated homes, such as the Scottish study reported above. There is a school of thought that MVHR, in particular, is too difficult for ordinary occupants to live with. Sometimes occupants are also blamed for “interfering”. In a study into professional perceptions of MVHR in social housing,16 housing and building professionals are quoted using expressions like “people turning the damn things off, they “fiddle” or “tamper” with the systems, or “screw them up” , along with slightly patronising references to occupants “needing a certain level of awareness”, or “I think it is education...them getting used to it”. Even when the professionals recognised the system was causing discomfort, the implication was sometimes that these actions were taken out of ignorance: “If they feel any cold draught or anything at all then they will block it up because they don’t understand what they are trying to do,” was another comment from the study. As a result, effort is sometimes put into tamperproofing systems – by wiring the ventilation into the lighting circuits for instance. Yet it also seems probable that a badly designed and installed mechanical ventilation system, that is noisy and uncomfortable, is more likely to be interfered with by occupants who are only asking for a quiet, comfortable life. Better installations might reduce the incidence of tampering. Comfortable systems are therefore more likely to deliver good indoor air quality. So some mechanical ventilation systems do seem to be working well, while others, clearly are not. What is the clue to the difference? The Innovate MVHR meta-study17 now has system design and installation information on the MVHR in 54 dwellings – a mixture of passive house and non-passive house. Analysis shows that all 20 passive house dwellings had a ventilation design whose flow rate met part F, but only around 50% of non passive dwellings clearly did so. Furthermore one third of the non passive house designs were not balanced, which would affect flow rates in different rooms, the efficiency of the heat recovery, and, therefore the temperature of the supply air (this is not covered in part F). Once built, 19 of the 20 passive houses had measured flow rates that matched the design rate (though two were border line). 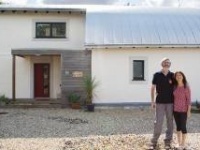 However 21 out of 34 non passive house systems failed to match the (not always adequate) design. The more effective designs and installations in the passive houses appear to be echoed in occupant satisfaction, although so far occupant feedback is available for just 15 of the homes. In this small sample, six out of seven passive house occupants appeared satisfied with IAQ and comfort, and five out of seven with noise levels, but at least six out of eight of the nonpassive house occupants had a complaint about IAQ, and/or noise, and/or draughts. As another example, occupants of the passive house Lancaster Co-housing development also reported high satisfaction with their homes in a building user survey, including with the air quality: none said the ventilation was noisy, in fact some commented that you couldn’t actually hear it to tell whether it was running. Technically, we know good mechanical ventilation is possible and has been delivered many times. But clearly there are still practical obstacles to getting it right every time. Consultant Ian Mawditt believes there is something to be drawn from the relative success of passive house ventilation systems. “From what I have seen so far, it’s clear that the passive house installations work better than non passive house ones. This seems to be a function of the way quality is embedded in the whole build process with passive house; everyone is tied in to delivering quality, almost micromanaged. Ian Mawditt’s colleague in the Innovate MVHR meta-study, Tim Sharpe of the Mackintosh School of Architecture, feels that a big problem with nonpassive house MVHR is sometimes that no-one in the design team quite knows why it’s there. “Too often the presence of MVHR is nothing to do with a desire for good air quality, but is purely driven by the numbers in SAP. The architect doesn’t think about it at all, until the SAP assessor recommends MVHR, so the architect just writes ‘MVHR’ on the drawings. That’s not a ventilation strategy, that’s a compliance strategy. 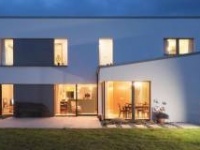 What's different about passive house? Occupants in all kinds of homes (even leaky ones) need to understand their ventilation. It is pretty clear that many of us either don’t know how our ventilation is meant to work, don’t care, or just can’t bear the discomfort. If design and installation is good enough, the last of these issues should go away, but we do still need to know that ventilation is important, and be able at least to tell if our system is working properly. It is a fair criticism of many MVHR systems, that, like many heating systems, the controls are unnecessarily complicated, and often incomprehensible. What occupants do require is the basic information about what their ventilation system is and how it works. This requires a clear chain of communication all the way from the designer right the way to the end user, and that communication is as much part of the performance of the system as the ductwork layout. This is a performance gap issue. In the UK, the Zero Carbon Hub is trying to tackle very similar problems in relation to energy performance. Some very broad brush estimated costings have been carried out for the Hub for a set of measures, including workforce training, to improve construction quality. Adam MacTavish at Sweett Group costed a suite of measures including energy literacy training, with certification or ‘carding’ of site team members via a short training course , and estimated this would only add around £100 on the cost of each home. Additional measures such as robust construction details, improved testing etc could be added for around the same again, he told Ecobuild. By effectively spreading the extra cost over a 20-year mortgage, MacTavish calculated that the ‘net present value’ of the proposed £200 uplift was equivalent to just £14 per year. In the UK the Zero Carbon Hub is working on the basis that industry can be brought round to accepting some kinds of ‘as built’ certification on energy performance. There seems to be a very strong case for ventilation performance to be treated similarly. And customers are complaining – rightly so. Ian Mawditt feels that customer complaints may be one of the most potent drivers for change. “Some installations are so awful that the occupants make a fuss, and actually I think this is essential. I have come across a case where the ventilation was so bad that a group of residents came together in an action group to get the developer to put things right. Ian Mawditt added that however painful for those involved, a couple of high profile lawsuits might be more effective still – and he believes one or two lawsuits might even be in the pipeline. At its best, domestic mechanical ventilation offers good air quality, excellent comfort and benefits to health, all without using more energy than natural ventilation, and, hopefully, using less. The question is, do we have the will to give everyone the best? And if not, why not? 4 Domestic ventilation rates, indoor humidity and dust mite allergens: are our homes causing the asthma pandemic? Howieson, S.G.et al, Building Services Engineering Research and Technology, 2003. 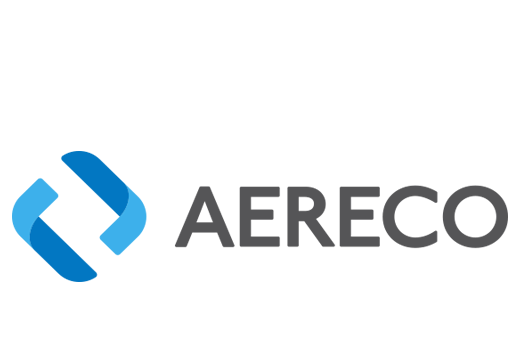 Aereco develops innovative ventilation solutions for residential and office buildings.